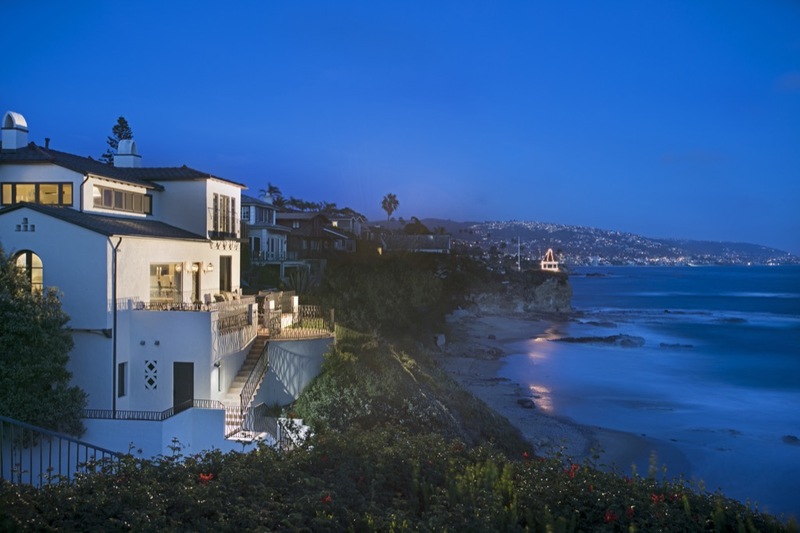 The prime Laguna Beach oceanfront locations are predominantly those selected in the 1920’s. Constructed for the J. Roy Smith ranching family in 1928, 989 Cliff Drive is an estate-style home with one of those choice locales on renowned Shaw’s Cove in Laguna Beach. The classically designed Mediterranean Revival beach-front home has been restored gloriously, and the promontory placement affords stunning ocean views from the multiple beachfront terraces and all major rooms of the home. Walled from the street, the entrance to the home meanders through magnificent gardens and includes a stone terrace anchored by an outdoor fireplace. The clean lines of the interior spaces, with exquisite original artisan tile and iron work, allow flexibility in style. Private stairs access the beach. The home includes four bedroom suites including the master – updated with a nod to the heritage, but re-imagined and outfitted for today. Views from the master suite are unmatched – the pearl necklace of Laguna Beach coastline seen by so many in the paintings of the Laguna plein-air masters. Original touches include a private ‘beach garage’ on the sand with room for kayaks and paddle boards – a feature that cannot be added to today’s oceanfront homes. 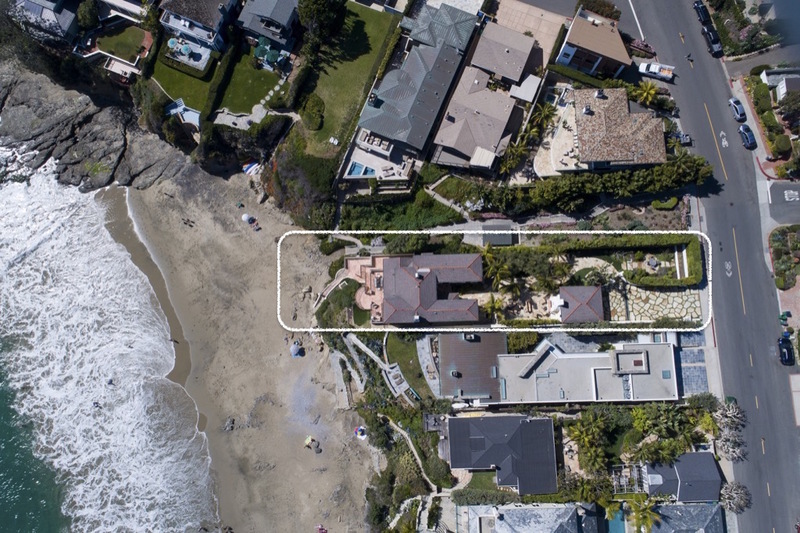 From it’s prominent oceanfront location to the property’s rich architectural and owner history, 989 Cliff Drive is a unique opportunity to obtain an estate that could not be duplicated today.